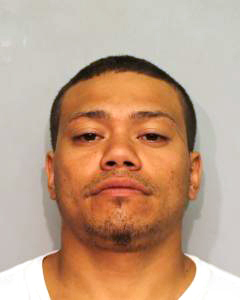 Hawaiʻi Island Police are searching for 28-year-old Alvin C. Haili-Barawis. He is wanted on two bench warrants totaling $100,000. He is described as 5-feet-6-inches, 180 pounds with brown hair, brown eyes, and has a tattoo on his right forearm and a scar near his left eyebrow. Haili-Barawis is known to frequent the Kailua-Kona and Hilo areas. Police ask anyone with information on his whereabouts to call the Police Department’s non-emergency number at (808) 935-3311.